Share the Care, Inc. is a 501(c)(3) not-for-profit organization, and as such, we work very hard to ensure that every donation is used wisely. Year after year, it is the generosity of kind individuals, corporations and foundations that helps Share the Care continue to serve the needs of our community’s family caregivers . 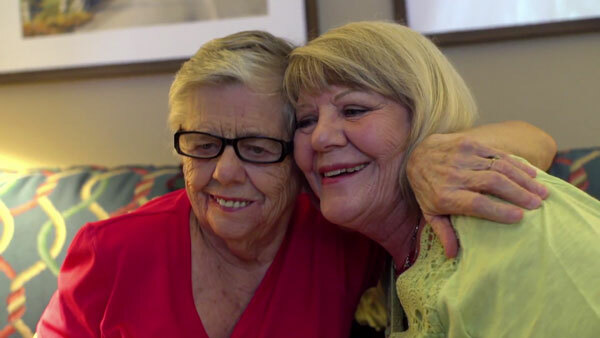 Our compassionate, supportive programs and services give caregivers the choices they need to care for their loved-one, delaying or eliminating the need for institutional care. Your donation, no matter how large or small, can help a physically frail and/or cognitively impaired adult remain at home with their families. It’s safe and easy to donate to Share the Care using your credit card. PayPal is the authorized payment processor for Share the Care. Simply complete the form below and you will be taken to the secure PayPal website to complete your transaction. You may also mail your donation to Share the Care, 1524 Formosa Avenue, Winter Park, FL 32789. Make checks payable to Share the Care. If you would like to donate by credit card but prefer to do so offline, simply call Share the Care at 407.423.5311. If you would like to set up an ongoing or multi-month donation, please call our office at 407-423-5311 and we can arrange this for you. Adult Day Care Centers: Put a smile on the faces of our Adult Day Care clients! Your donated game prizes, arts and craft supplies, garden materials, and other gifts help make our clients’ days more meaningful. Visit each Adult Day Care Center page to see their “wish list”. Special Events: Share the Care also needs donated items for silent auctions and event prizes for our major annual events. Items can include restaurant gift cards, gift baskets, jewelry, entertainment passes, theme park tickets, and services (home/office cleaning, car care, fitness, etc.). Visit our events page for upcoming event information or call our office at 407-423-5311 for more details. If you would like to make a donation to Share the Care but you are not ready to do so at this time, consider making a planned gift. Typical planned gifts include simple bequests in a will or estate plan, gifts in memoriam of a loved-one, and stock or securities or other non-cash assets. Please call our office at 407-423-5311 to discuss planned giving options. You can also consider a matching gift to Share the Care from yourself and your employer. Often, corporations have matching gifts programs to encourage their employees community involvement. Employers may match an employee’s charitable gift, in effect doubling your giving to the charity of your choice. Contact your Human Resources department to find out if they participate in a matching gift program. Sponsoring a Share the Care event is the perfect way for your organization or company to reach out to local family caregivers and other community supporters. Event sponsorships vary in cost and benefits and sponsors are recognized online and at the event. For information on sponsorship opportunities at upcoming events, click here or call our office at 407-423-5311.